a 36x52” vinyl vacuum bag with a seal and a one-way valve. The valve can be positioned in the center (for most wood projects) or off-set for wet resin (epoxy) pressings. Please specify your choice when ordering. 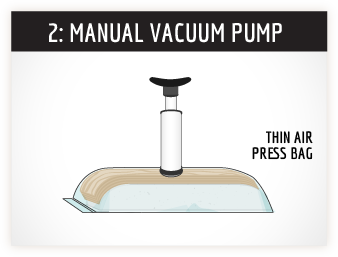 Insert your glued veneers (and mold) into the heavy-duty vinyl vacuum bag, position the breather netting under the valve, seal the bag, connect themanual Super Pump and extract the air. 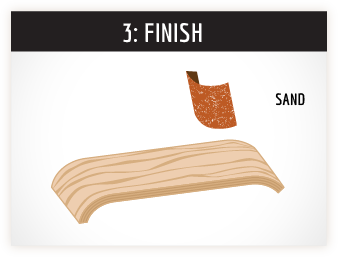 Watch as it generates enough pressure to press 1/16” veneer (or thinner) over a mold. 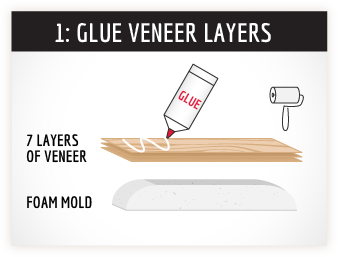 Or laminate a fancy veneer to a flat surface. It can also be used without an internal mold or platen, see these tutorials.